When I was given the honor of, Top 10 Mommy Blog, from Parenting.com, I was also invited to join their incredibly talented pool of freelance writers. (Gasp!) 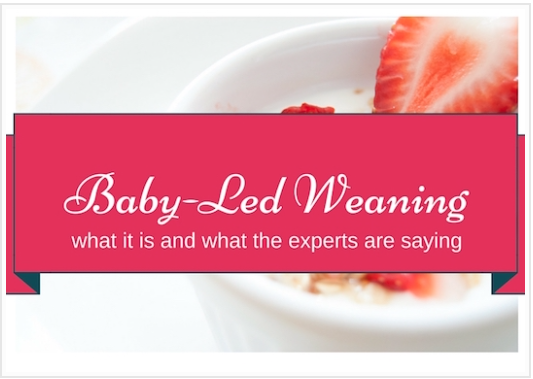 One of my favorite assignments was to research, Baby-led Weaning; what it is and what the experts are saying. At first, I thought that it would be easy since I knew all about baby-led weaning and did a form of it with my son. I was so wrong. You all, this one got me. I had such a hard time writing the article. I needed to stay objective, and not bring my preconceived notions into it, which was hard, because, to me, this was a big deal article. Writing about something as big as introducing solids to an infant, no matter what, I didn't want to screw it up. I also didn't want to mislead people, just to write a good (favorable) article. For those of you who do not know, Baby-led Weaning (BLW) is a method of introducing solid an infant by allowing them to self-feed, rather than be spoon-fed. Yes, it's giving a six-month-old solid food in finger sized pieces to feed themselves with. No purees or parent intervention. BLW is all about offering healthy finger-sized soft foods to the baby to touch, smell, taste and then eventually chew and swallow. The control of how much food baby eats is up to them. Further teaching self-regulation. Where as with the parent-led spoon method, parents often feed the baby until the food is all gone. For me, BLW was a terrifying thing. All I could imagine was my son choking. For that reason, I fed Ollie purees for the first few months of his introduction to solids, then slowly switched to offering him finger foods. No, he never choked, but I was also VERY careful about what I offered to him, and probably didn't offer enough variety because of that. All of that said, I put my own opinions and experiences aside and did the research. I too wanted to know what the experts were saying. Had things changed in the 18-months since I was researching baby-led weaning for my son? My friends, it had. In fact, as I type there is a multitude of studies going on surrounding baby-led weaning. Did you do Baby-led weaning with your baby? What was your experience? Is your child now a healthy thriving toddler? Studies said the baby would not be a picky eater later in life. Is this true? Would you do it again with your next child? Any tips for parents giving it a try?